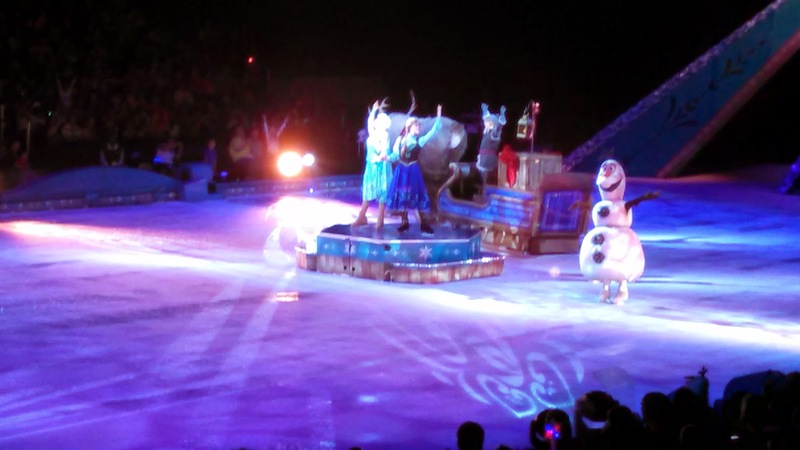 I surprised my 7 year old daughter with tickets to Frozen On Ice at the Richmond Coliseum this past Saturday! 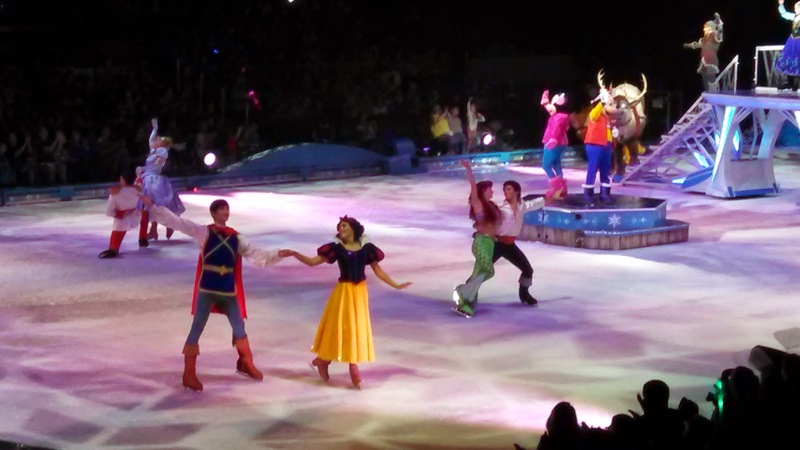 This was our first "Disney On Ice" experience and let me tell you, it was amazing! 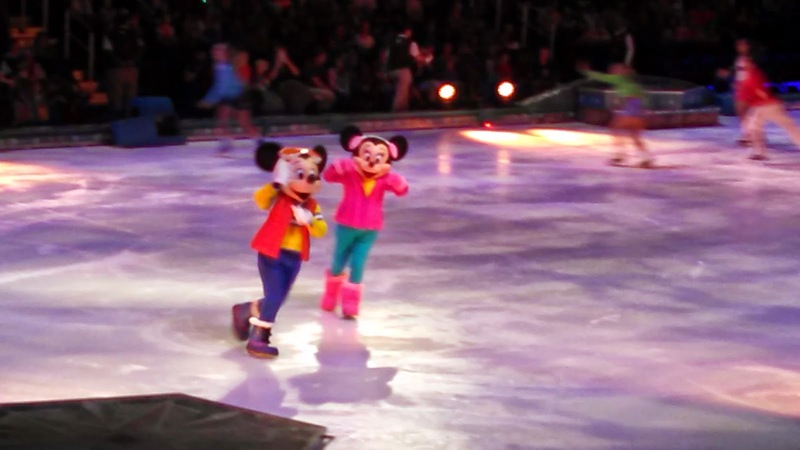 The show lasted about two hours and started out with Mickey and Minnie appearing for a few laps around the ice. There were a few Disney princesses and princes that made a special appearance! 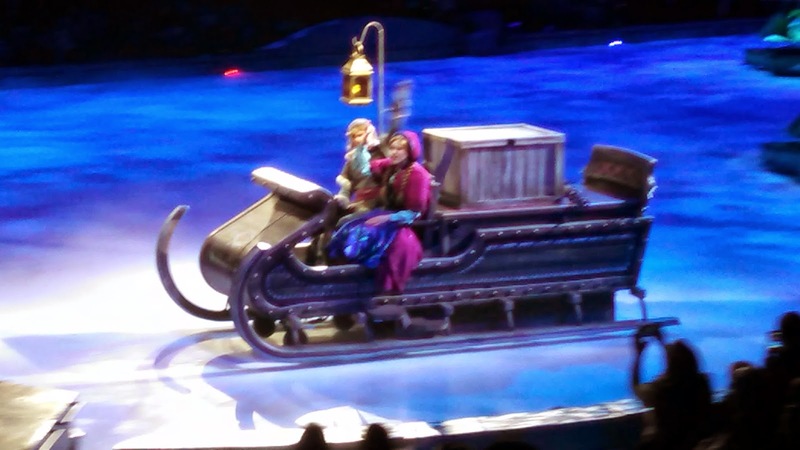 Sven and Kristoff made an appearance too! 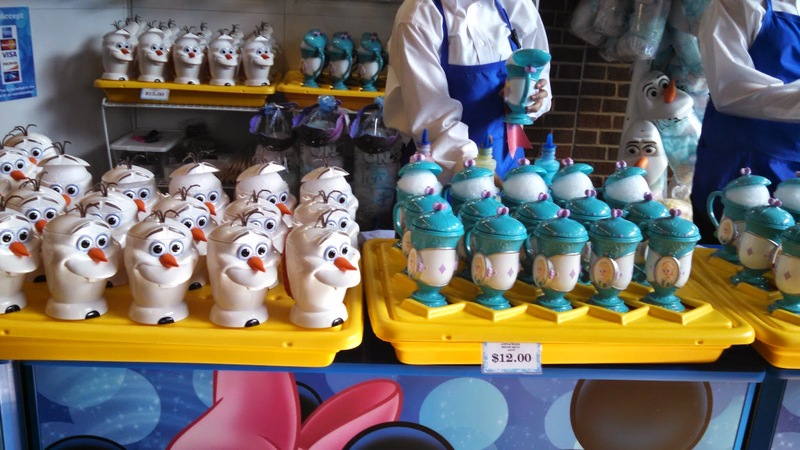 Olaf was SO adorable and funny! 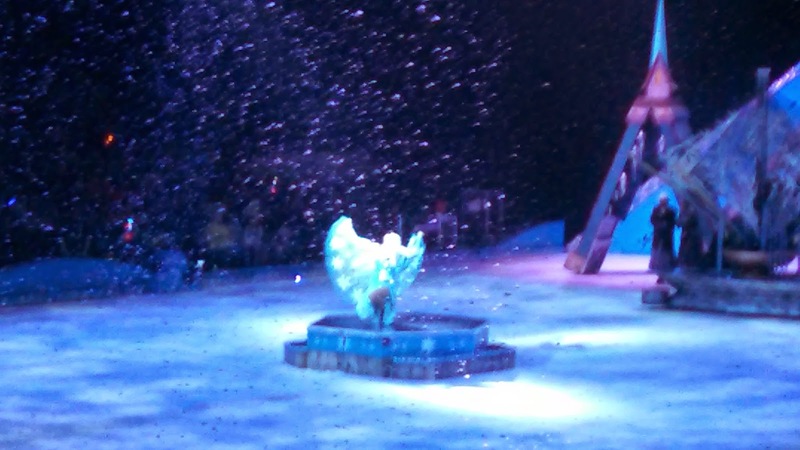 One of my favorite scenes of the whole show---Elsa singing and it started to snow! People in the first few rows were getting snowed on! This week we are exploring the various types of Disney Apps that are available. An App is an online game for your Ipod, Ipad or Iphone. Some games are even free and some cost money each month. There are SO many awesome Disney apps available. My 7 year old daughter absolutely loves to earn time on the Ipad for good behavior. Her favorite game to play is the new Disney Frozen app called Frozen Free Fall. You can download the game for your Ipod, Ipad or Iphone here on itunes. Best of all this game is FREE! 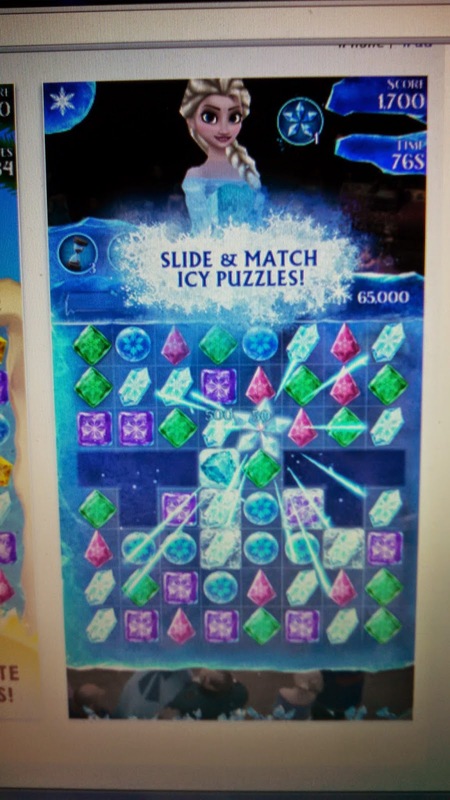 Frozen Free Fall is an easy to play game and somewhat educational. I really love the graphics. You can unlock rewards, collect flowers and even get a tan with Olaf in the game! The more flowers you collect the higher your score. You can move up to a more challenging level and it really is fun. Kids of all ages would love this game but I would recommend it for ages 5+. Disney has many wonderful apps and many that are even educational. I reward my 7 year old with time on the Ipad each week if she has had a good week and good behavior. 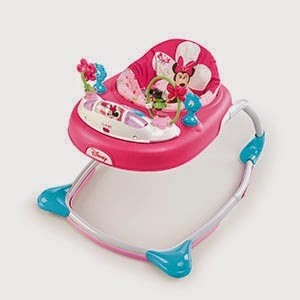 Disney has partnered up with Walmart to bring you the most adorable Disney Baby items! 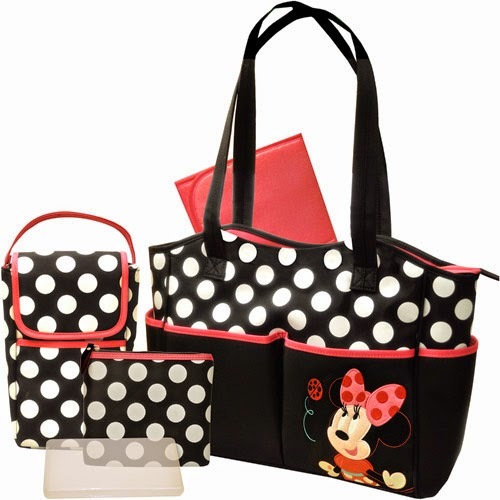 The Disney Baby collection includes many must have baby items for new Mom's and Dad's. 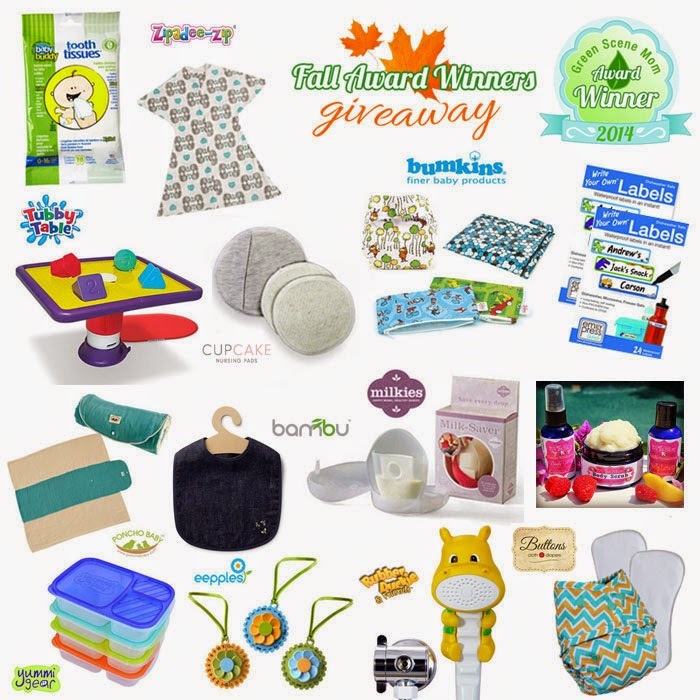 Walmart offers a baby registry too which is perfect for expectant Mom's. Every new Mom needs a cute diaper bag! This is one cute walker!! I love how there are three different seat positions allowing room for your baby to grow. There are even lights and sounds which will provide hours of entertainment for baby! The care center play yard includes a diaper changing area, a separate storage space for the diapers and wipes and an open view newborn bassinet for babies up to 15 lbs. 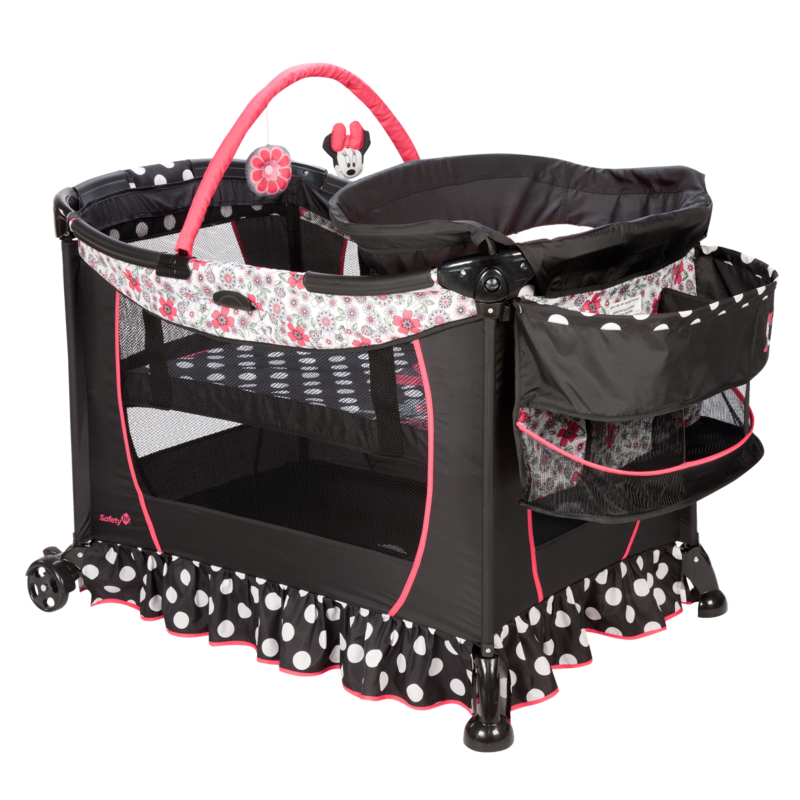 The care center play yard is easy to move around from room to room so you can get the laundry or dishes done while baby plays safely nearby. The travel system includes an adorable floral pink patterned baby carrier and matching stroller. 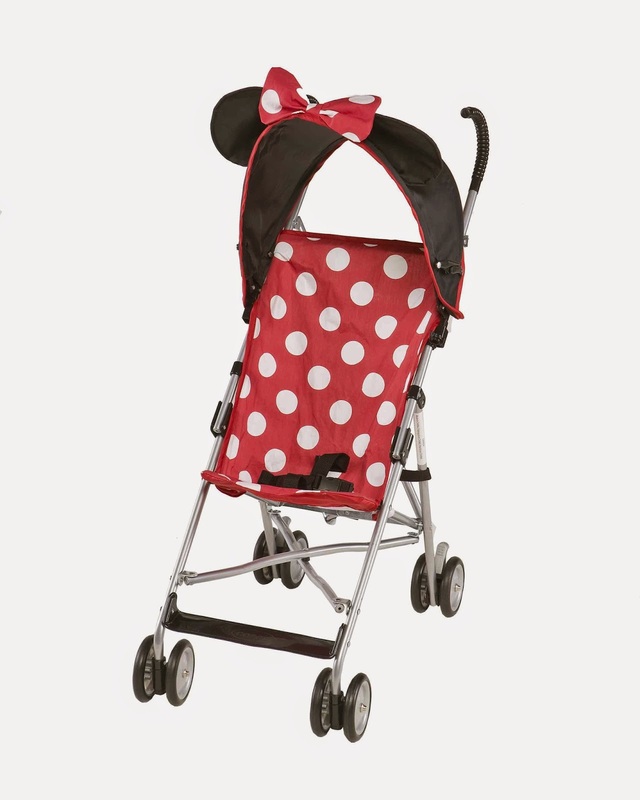 This is the cutest stroller I've seen! I really love how it can grow with the baby. 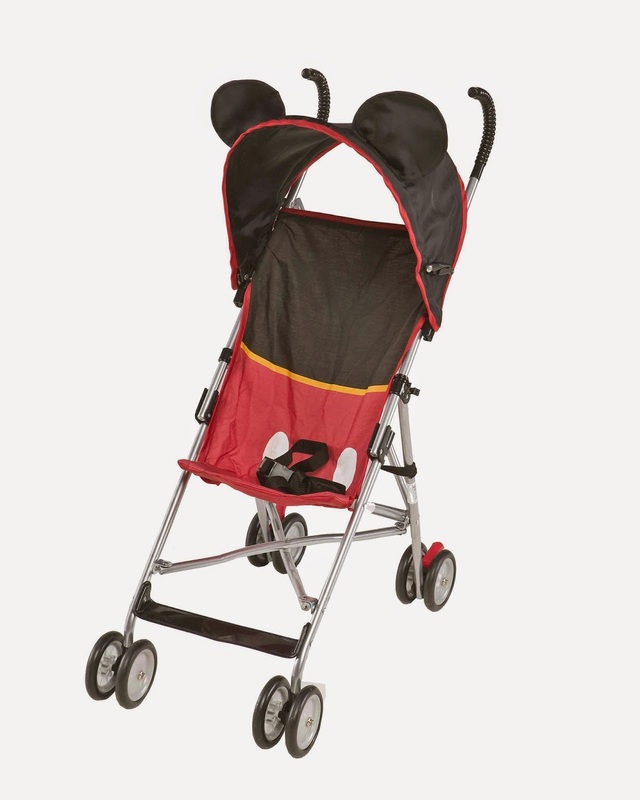 As the baby gets older and no longer requires the baby carrier you can still use the stroller. It is also lightweight which is nice. Affordably priced at just $22 each the 3 in 1 Grow With Me Celebration Potty features a removable potty seat that can be used as children grow taller and can access a bigger toilet. They can also convert to a sturdy step stool with the lid closed! Such a great idea! 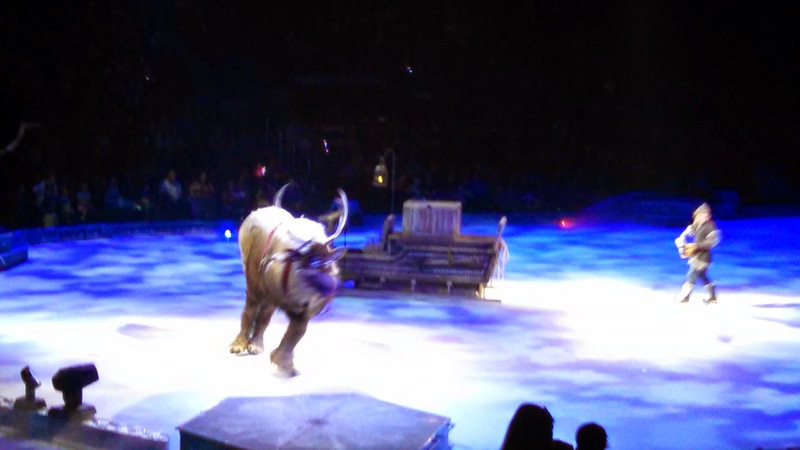 This post was sponsored by Disney Baby and I was compensated to write it. Regardless, what I have written is my own opinion and experience and I hope you find it of use. 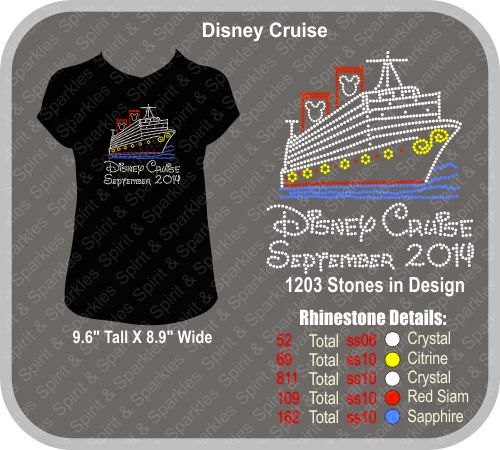 I was SO excited when the package arrived with this adorable super cute custom made tank top for my Disney Cruise!! I love the sparkly rhinestones. I plan to wear this many times before the actual vacation and of course I plan to bring it on the cruise. 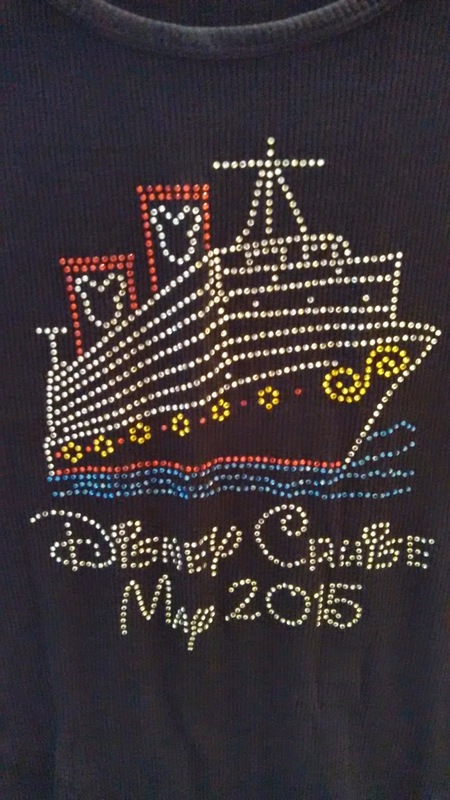 I will probably wear it on the day we embark on the ship! You can purchase one too at Spirit and Sparkles Etsy Shop They have other adorable designs for their shirts and various style shirts available, short sleeve, tank, spaghetti strap tanks, etc. The mailman made my day when this package arrived the other day! 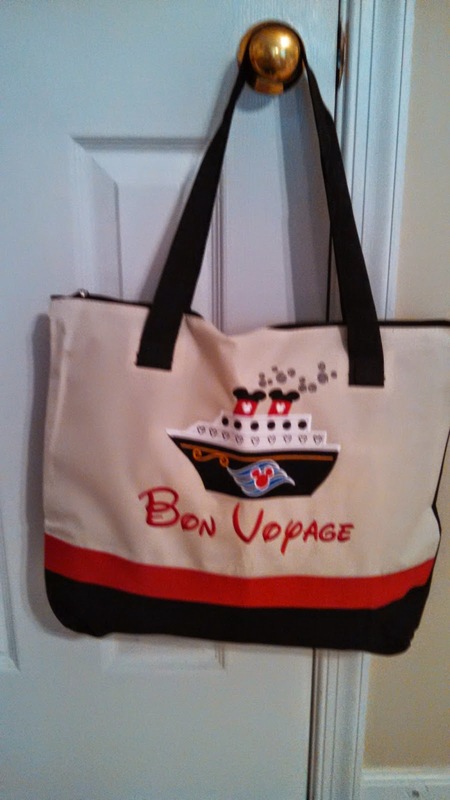 This adorable Bon Voyage tote will be perfect for my travel bag. I am planning to bring this as a carry on when I board the ship. It is the perfect size to hold all of my important documents, camera, sunscreen, autograph books, etc. It has a zipper and a nice sized interior pocket. You can purchase one of these adorable tote bags at: Little Stars 11 Etsy Shop. They have other adorable designs for the tote bags too! 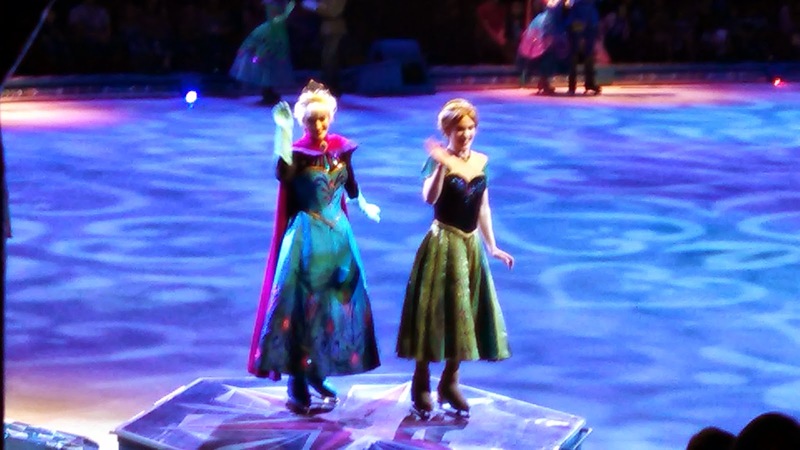 Is there really a perfect age for your first visit to Disney? I have been asked this question too many times to count. I always tell people, it just depends on what type of experience you want to have. It also depends on how many times you plan to visit Disney World. If you want to visit just once or twice in your child's life then I would recommend waiting until they are at least six years old. At six years old your little princess or prince will remember the special memories later in life and at six years old they are still young enough to believe in magic. The youngest age that I have taken my children to Disney World was when my youngest was just 11 months old. She had a blast and it was such a fun vacation. We did not however go there just for her, she has older siblings who were 2 and 5 at the time. We were unable to ride Space Mountain, Thunder Mountain, etc. but that's ok. We knew ahead of time that we would have to skip those rides. But if you have a grandparent who can stay with the children or you want to ride alone then you can easily make arrangements to ride these rides that have the height restrictions. Surprisingly at just 11 months old my little princess was able to ride many rides and had just as much fun as her older siblings. Would I do it again? Yes. Would I encourage you to visit with an 11 month old? Yes. Would I plan a Disney vacation for just an 11 month old and no older siblings? No. 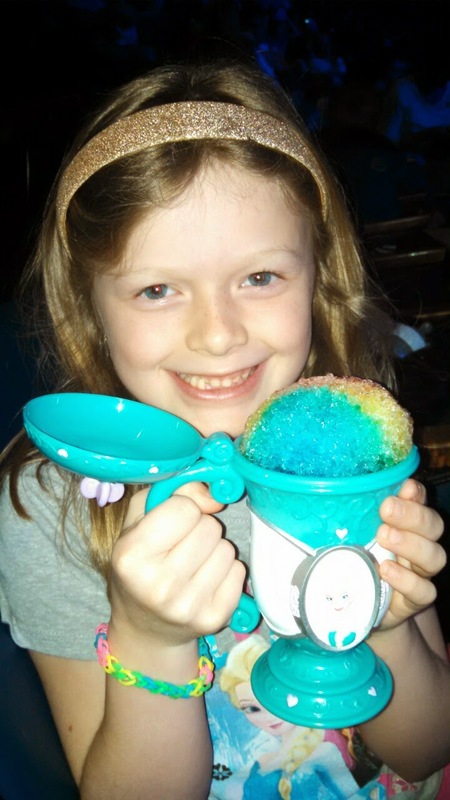 If you absolutely can not wait to experience the magic of a Disney vacation until your little princess or prince is six years old then I would wait at least until he or she is 3. It was a lot of work for me personally to change diapers, nursing the baby and worry if she was getting too hot, etc. The Baby Care Centers are wonderful and I spent a lot of time there. But it was all worth it to see her little face when she met Mickey and all of the other characters. I would never have considered leaving her at home with grandparents and missing out on our family vacation. 11 months old and loving Chef Mickey's! Meeting Piglet for the 1st time! She took many naps in the stroller at Disney!